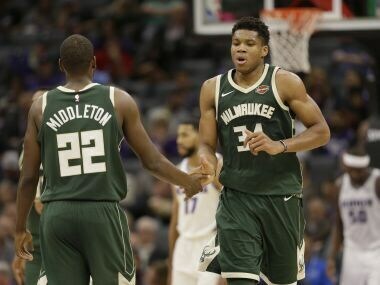 In Sacramento, Milwaukee's Giannis Antetokounmpo scored 19 of his game-high 32 points in the third quarter to lead the Bucks to a 112-87 victory over the Kings. Eric Bledsoe added 21 points for Milwaukee, who have won three straight against Sacramento by an average of 21 points per game. 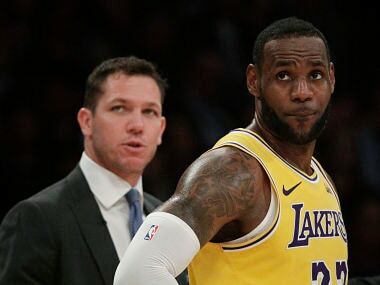 For the Kings it was a disappointing follow-up to their 110-106 upset of the reigning champion Golden State Warriors in Oakland on Monday. In Minneapolis, Otto Porter Jr. scored 22 points, including the go-ahead jump shot with 25 seconds left to play as the Washington Wizards rallied for a 92-89 victory over the Minnesota Timberwolves. Porter scored 17 points in the second half as Washington erased a 13-point second-half deficit to win for the second time in six games. The Wizards were without point guard John Wall for a second straight game as he battles knee inflammation that is expected to sideline him for two weeks. 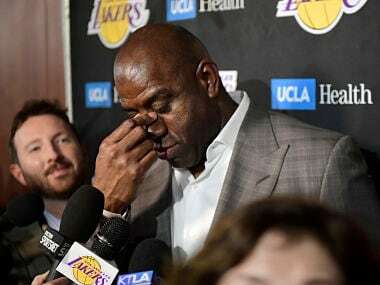 "One of our best players is out," Porter said. "The whole team has to step up and do more." The Wizards reserves embraced that philosophy, out-scoring Minnesota's bench 49-11. A close first half in Salt Lake City saw Utah and the Denver Nuggets trade the lead 13 times before the Jazz pulled away in the second half for a 106-77 victory. LeBron James' first career ejection was just a blip in his Cleveland Cavaliers' ninth straight NBA victory on Tuesday — a 108-97 triumph over the Miami Heat. Kevin Love was red-hot, scoring 38 points to lead the Cavs as James lost his cool and was tossed for the first time in 1,082 regular-season games. James, convinced he was fouled on a drive to the basket, made a beeline for referee Kane Fitzgerald, shouting angrily. Fitzgerald quickly whistled the superstar for a technical foul and then pointed to the exit with 1:59 remaining in the third quarter. "I got fouled," James said. "I showed my frustration to the ref and he sent me to the locker room." James, who had stripped the ball from Miami's James Johnson at the other end, said he was "fouled all the way up the court, from the time that I stripped him all the way 'til I got to the rim. 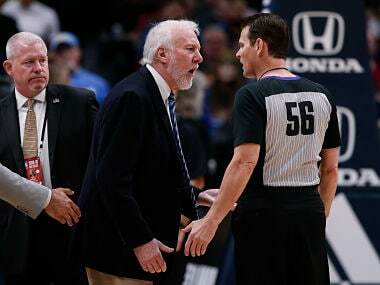 "I said what I had to say and I was moving on," added James, who thought Fitzgerald had assessed a second technical foul when in fact the ref had handed him a straight ejection after the single technical. Fitzgerald, in his ninth NBA season, told a pool reporter the decision was "a culmination of a couple different acts. "Immediately after the no-call, he turned and threw an air punch directly at me and then he aggressively charged at me and then he used vulgarity in my ear a few times," Fitzgerald said. "It is what it is," said James, who scored 21 points with 12 rebounds, six assists and five steals. "We got the win and that's the most important." The Cavs were leading 93-70 at the time, and the absence of James for the final period didn't stop the Eastern Conference champions from notching a ninth victory in a row. Love's 38 points were a season-high and Dwyane Wade added 17 off the bench against his former team. The game marked the first time that Heat coach Erik Spoelstra went up against his former Miami stars James and Wade at the same time. He coached Heat teams led by the two to four straight NBA Finals appearances from 2011-2014, winning titles in 2012 and 2013. Miami were never in this one as Cleveland took control with 75 first-half points — 32 of them from Love. "It started right from the beginning, we were on our heels and they felt like a different level than us tonight," Spoelstra said.